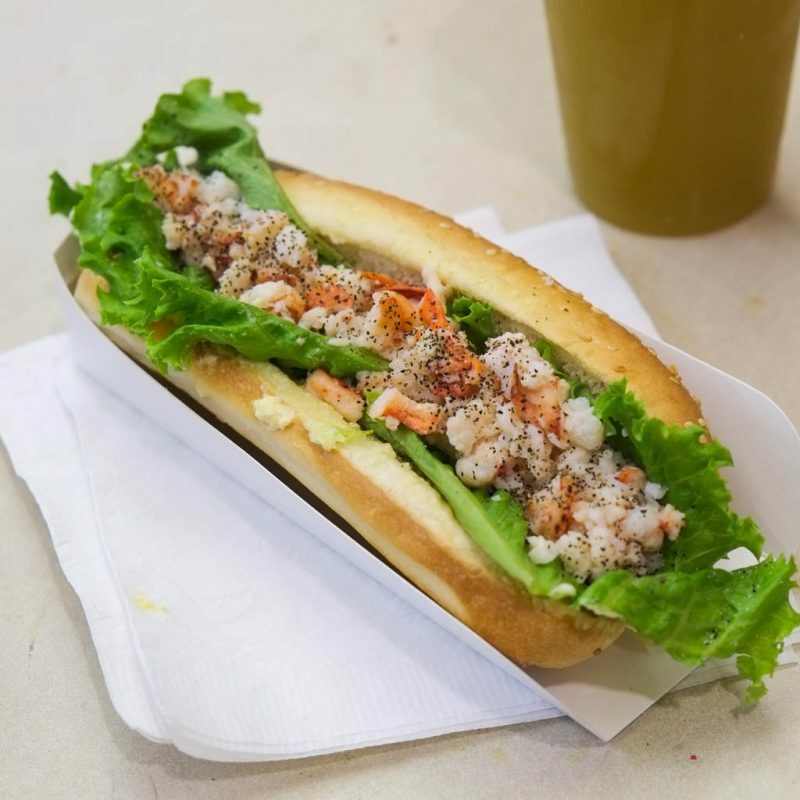 If you’ve been following the Vancouver food blog king Sherman’s Food Adventures on Instagram, you’ll know that he’s been eating a ton of lobster rolls while on the east coast. 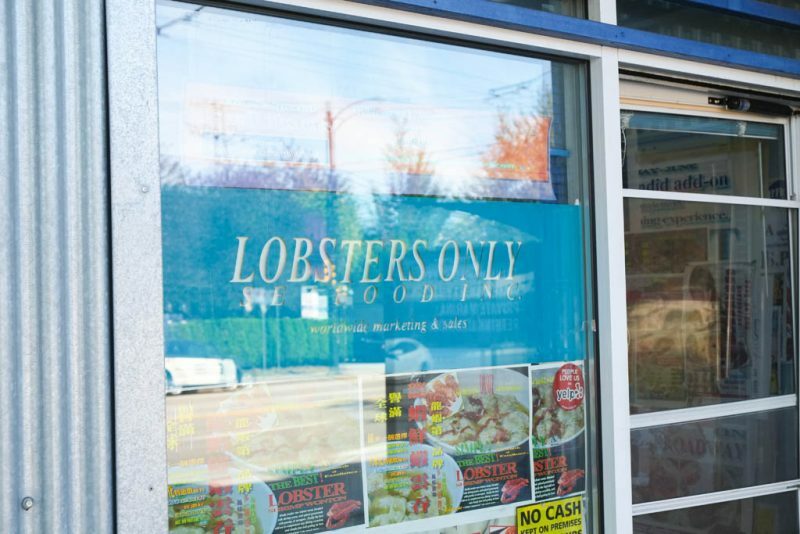 Of course I felt massive FOMO (“Fear Of Missing Out”), so I googled around to see if I could find lobster rolls here in Vancouver. Little did I know that it would lead me down a dark, dank hole, with me ending up at Kingsgate Mall. 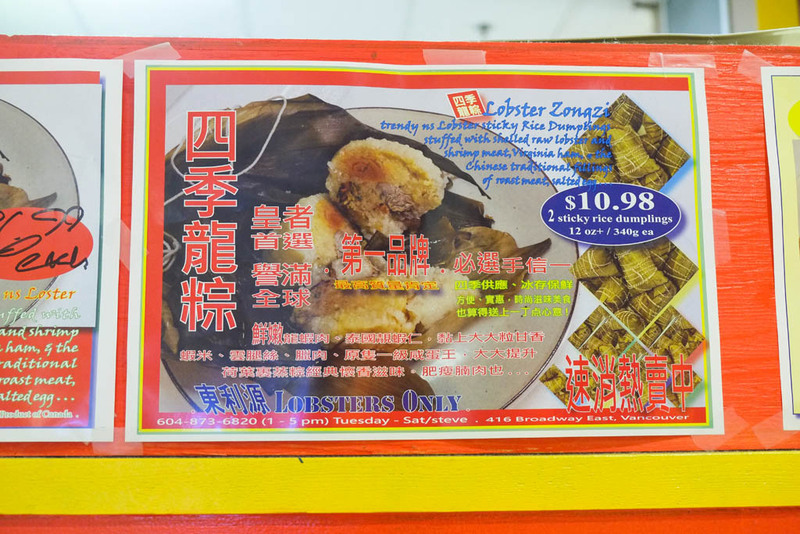 All the sites have the same kind of cheesy ads featuring Chinese models and tons of type plastered over top talking about high quality lobster products. What do the pretty girls have to do with lobster? I have no idea. It’s Lobsters Only! And all the wacky posters that I saw online. 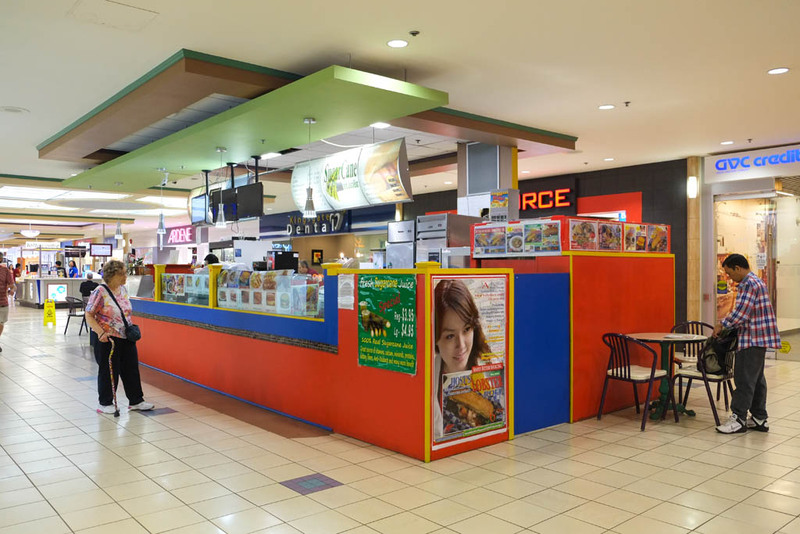 Sugarcane Bistro & Juice Bar, the sole food place in Kingsgate Mall (if you don’t count the BC Liquor Store). 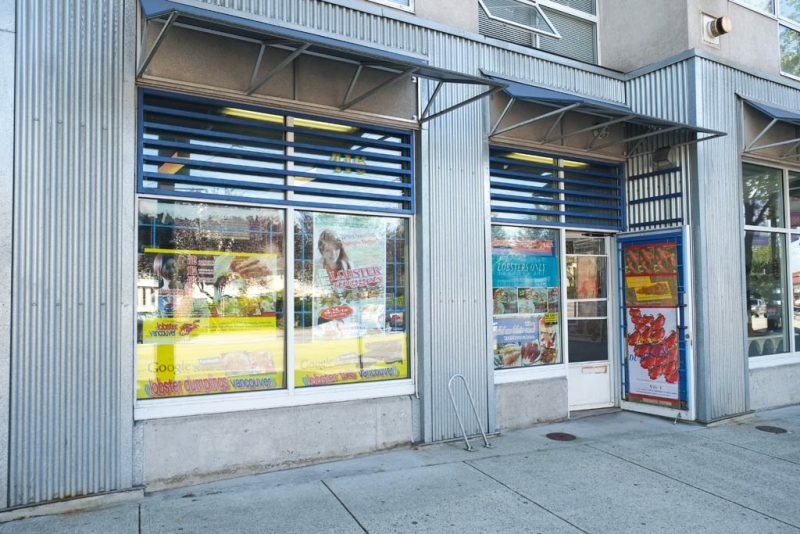 This may be kind of a ghetto mall, but it’s far from being a dead mall. A fair amount of people milling about on a Friday mid-afternoon. 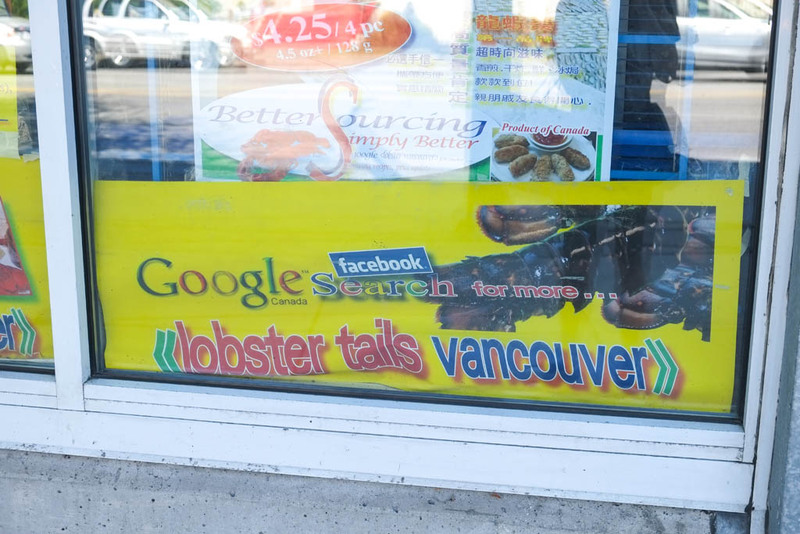 There seems to be some weird relationship between this food stall and Lobsters Only. 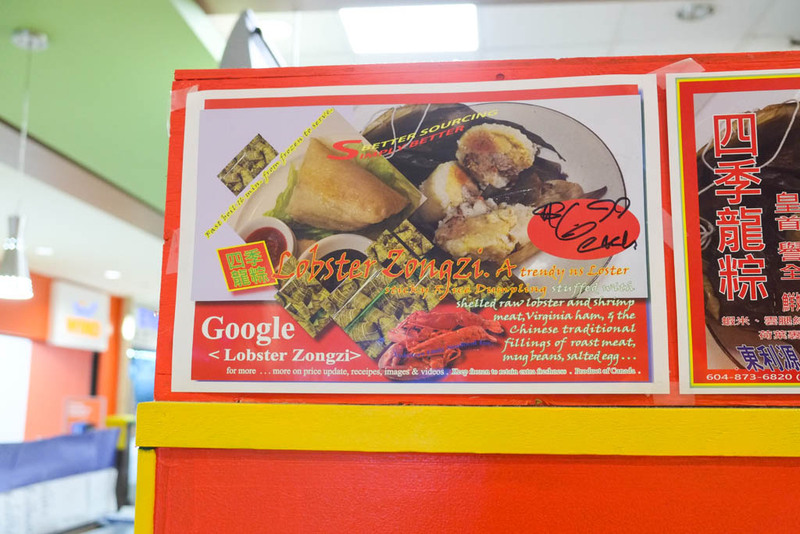 The same lobster products that Lobsters Only sells are on the menu here. 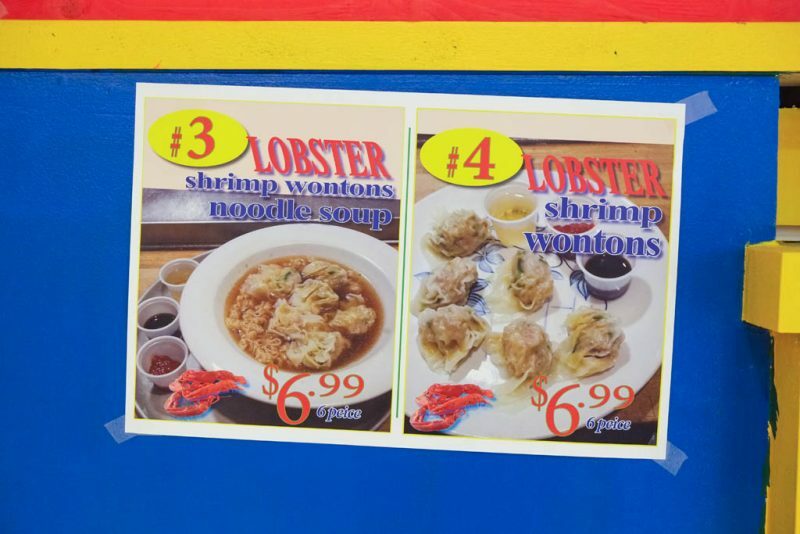 Lobster wontons, with or without the noodle soup. This seemed to be the same thing but for $10.98 for two. Are these smaller than the $6.99 ones?? 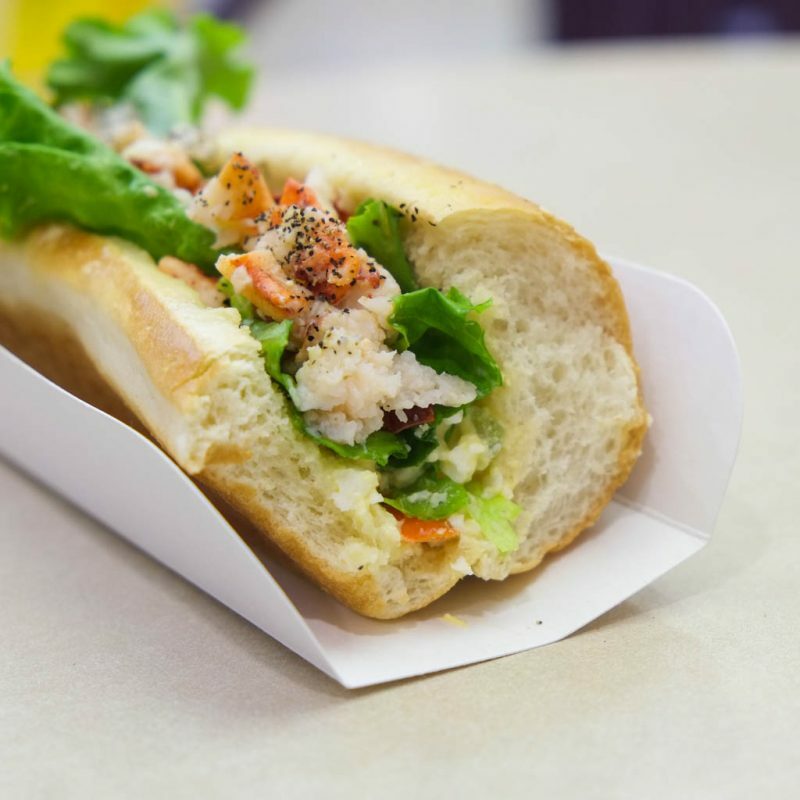 Here we go, the “Classic Mini Lobster Roll” for $7.99. See the big chunks of claw meat in the picture? Remember that image. 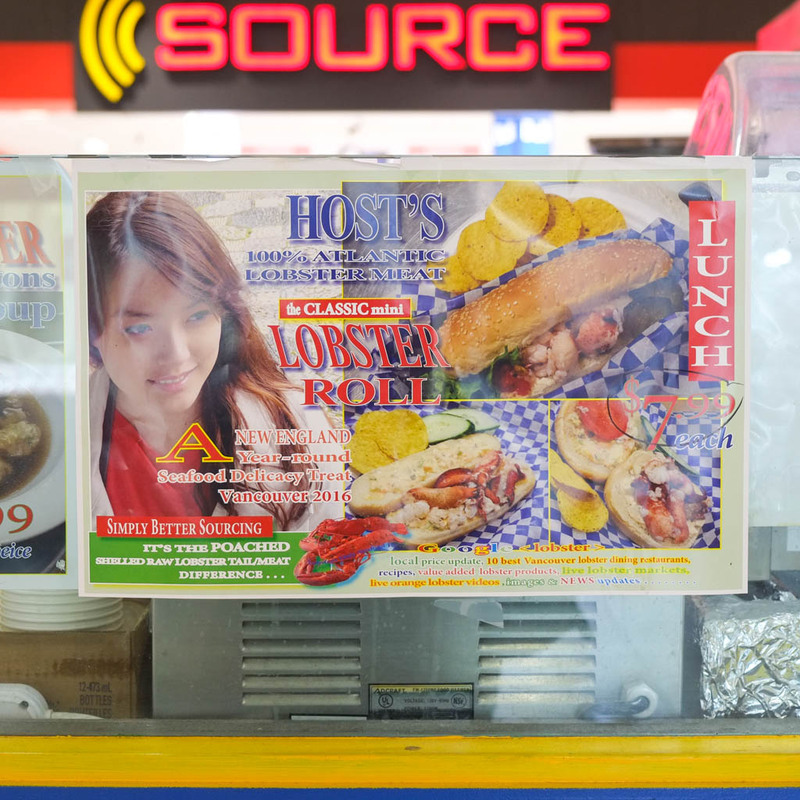 Except for the girl…who seems to be the lobster equivalent of an import model. 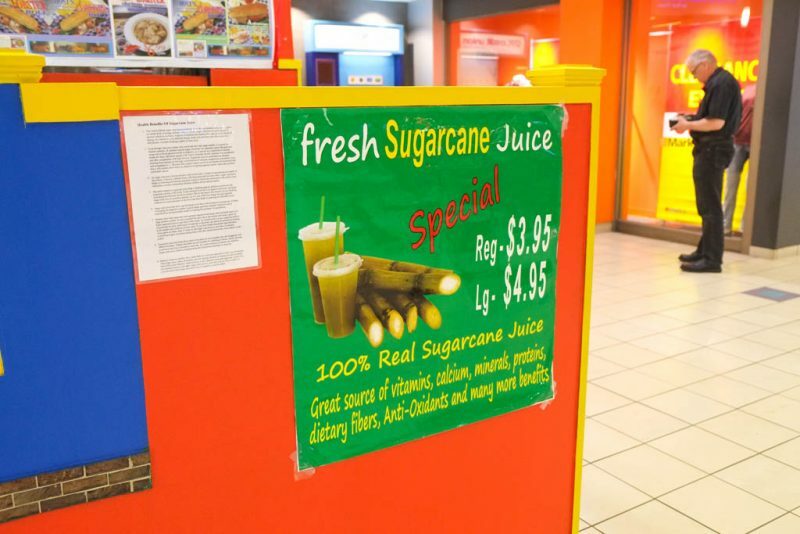 Fresh squeeze sugarcane juice for $3.95? I gotta try that! 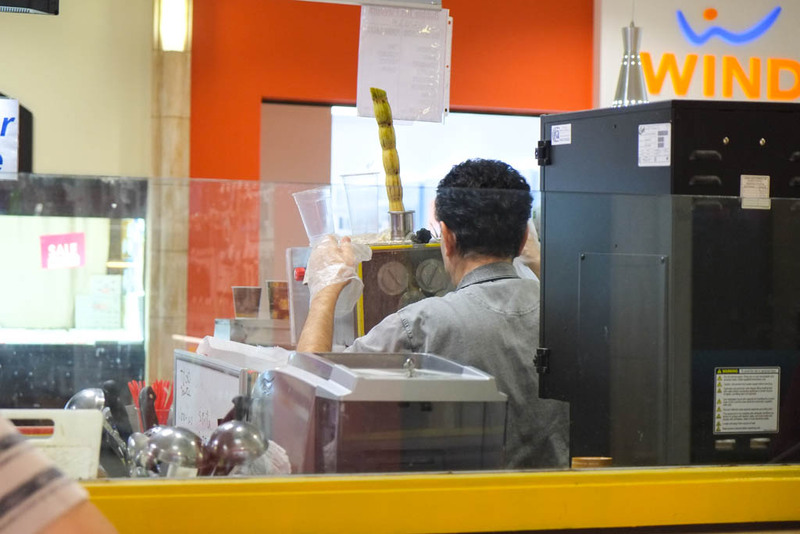 Wow, he’s really squeezing a stalk of sugarcane through a machine! Apparently they use sugarcane imported from Malaysia. 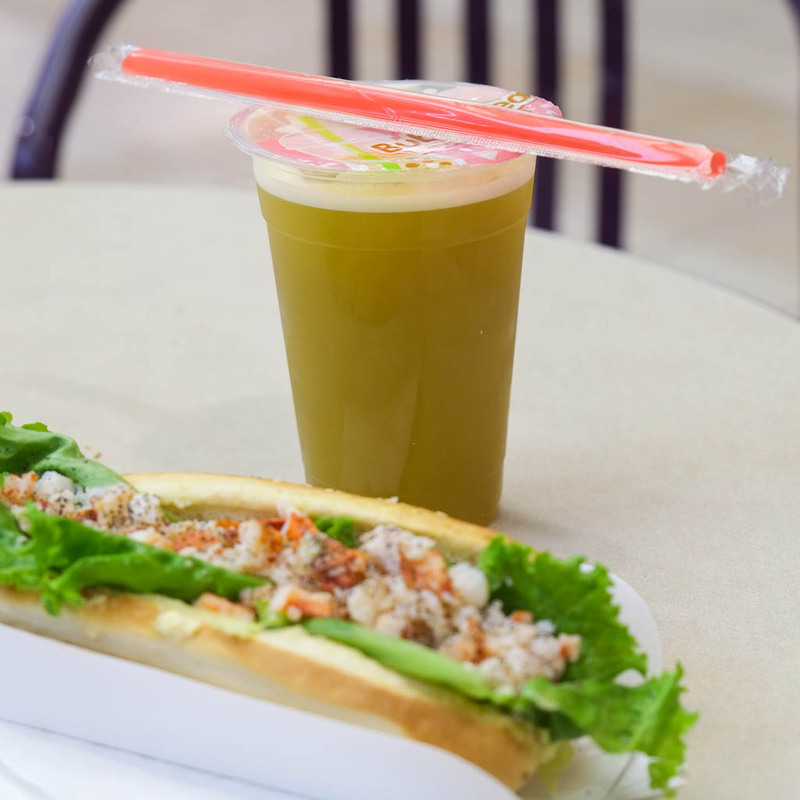 Sugarcane Juice ($3.95 for regular size) and a Lobster Roll ($7.99). 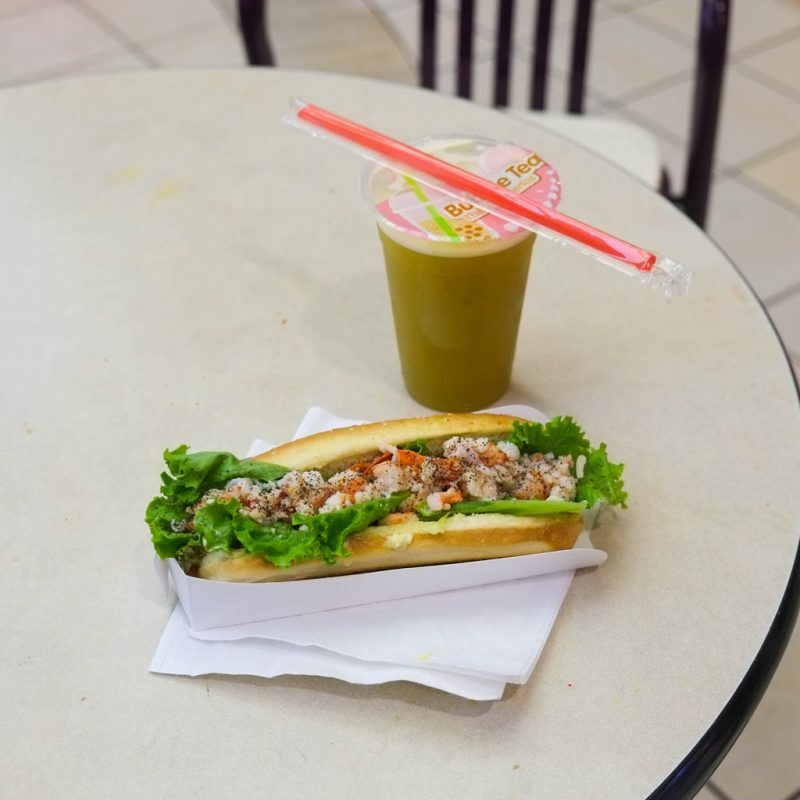 The sugarcane juice was actually not bad! Quite sweet though, almost like there isn’t just sugarcane juice in there. Not sure if they add calamansi or anything like that. Tasted more sweet than sugarcaney…so…maybe I should’ve watched the guy make it more closely to see exactly what he put in it. I *do* like that there isn’t much ice in there though! Huh. Looks like a ton of leg meat and cast-offs, rather than big honkin’ juicy claws or tails. 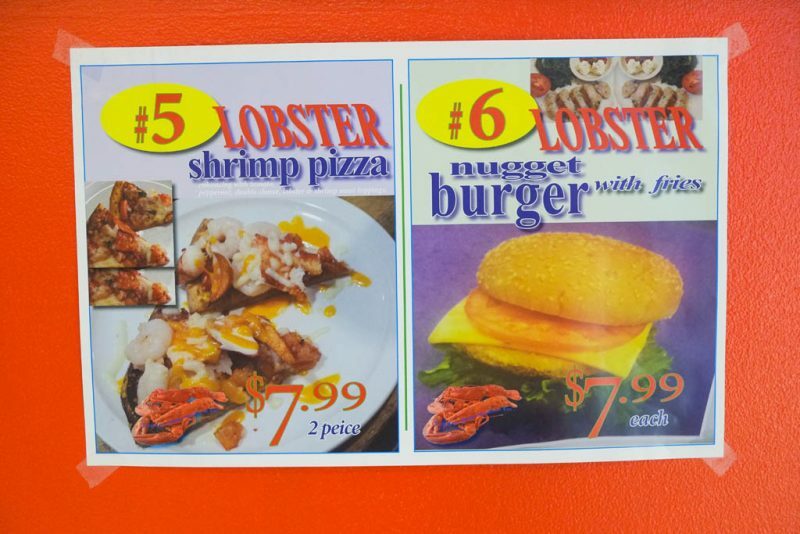 One of their posters described this as, “a mild touch of mayo, shredded crisp celery, and blending with the gourmet devilled egg add-on, it’s simply the fast-casual seafood trend of today”. 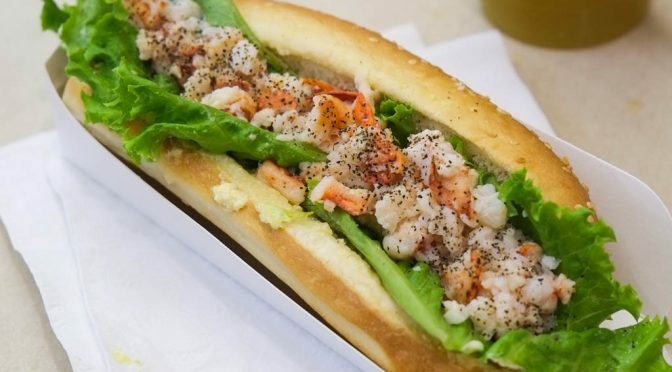 The taste was too much of the bog-standard hoagie, egg salad (which sorta gets in the way), lettuce, and not enough lobster. It needed double the amount of lobster meat, and not just weird little bits. Thinking back, I should’ve pushed all the filling to one side and just ate that for a better experience. I might just have to go to Joe Fortes for their $23 Lobster & Shrimp Roll…or make it myself! But it is only $8… You get what you pay for! Almost. Bonus pain: check out what Sherman ate!